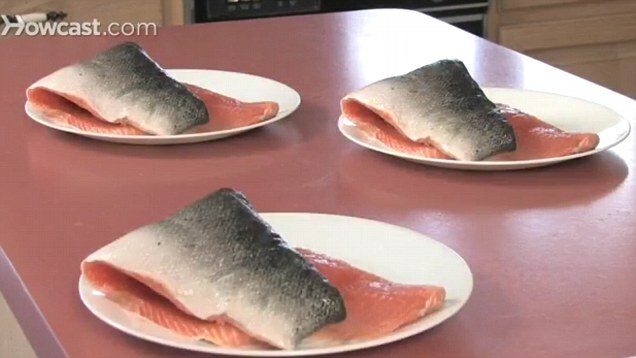 Eating any type of fish just once a week increases brain health, a study has revealed. Just one fillet – grilled or baked – boosts grey matter, regardless of how much omega-3 fatty acid it contains. Experts have previously said the anti-oxidant effect of omega-3 fatty acids – found in high amounts in fish, seeds, nuts and certain oils – are associated with improved brain health. But the new study hints that eating any fish has health benefits. Fish oils could hold the key to saving pensioners’ sight. Omega-3 fatty acids, abundant in oily fish, help stop tiny blood vessels from bleeding into the back of the eye, experiments show. The finding is important because damage to retinal blood is behind a range of conditions that can lead to loss of sight, including many cases of age-related macular degeneration (AMD), the most common cause of blindness in the elderly. AMD affects more than 600,000 Britons and the number is expected to treble in the next 25 years as the population ages. There are few treatments – and no cure – for the condition. The research, from Harvard Medical School, focused on ‘wet AMD’, the most serious form, in which central vision can be lost within months. In the study, a diet rich in omega-3 cut damage to the blood vessels in mice with an AMD-like eye disease. The healthy fats, which are found in mackerel, trout, herring, sardines, tuna and salmon, stopped damaging immune cells from fuelling the disease. Researcher Dr Kip Connor said the fats seems to have a ‘vital role’ in eye health, but it is not known whether supplements are enough to save sight. The new research reveals that people who eat a diet including fish have larger brain volumes in areas associated with memory and cognition. The findings add to growing evidence that lifestyle factors, such as diet, contribute to brain health later in life. 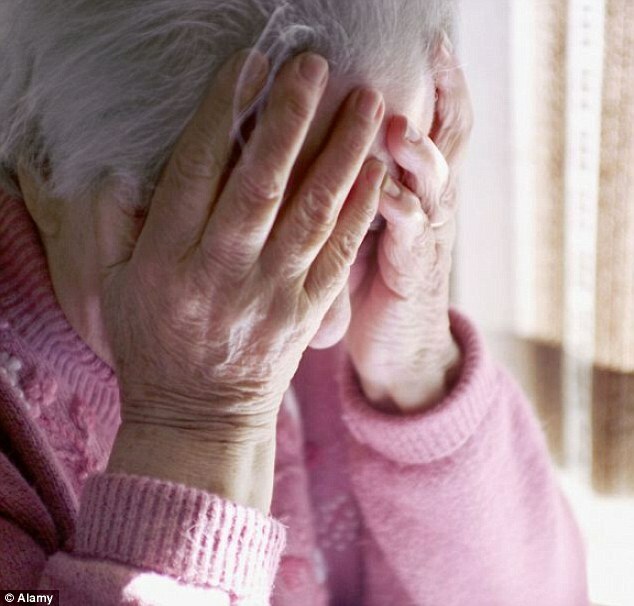 Scientists estimate that more than 80 million people will have dementia by 2040, which could become a substantial burden to families and the NHS. 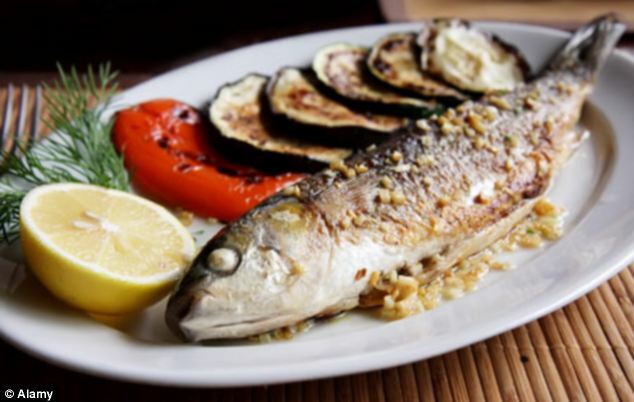 ‘Our study shows that people who ate a diet that included baked or broiled (grilled), but not fried, fish have larger brain volumes in regions associated with memory and cognition,’ said Dr James Becker, professor of psychiatry at the University of Pittsburgh School of Medicine. The researchers found that people who ate baked or grilled fish at least once a week had greater grey matter brain volumes in areas of the brain responsible for memory – by four per cent – and cognition at 14 per cent. They were also more likely to have a college education than those who didn’t eat fish regularly. However, no association was found between the brain differences and blood levels of omega-3s, accrodng to the study, which was published in the American Journal of Preventive Medicine. Dr Becker explained: ‘This suggests that lifestyle factors, in this case eating fish, rather than biological factors contribute to structural changes in the brain.